This easy pizza dip appetizer is the fun way to enjoy this party food classic. Ready faster than delivery and you can customize it with your favorite toppings! 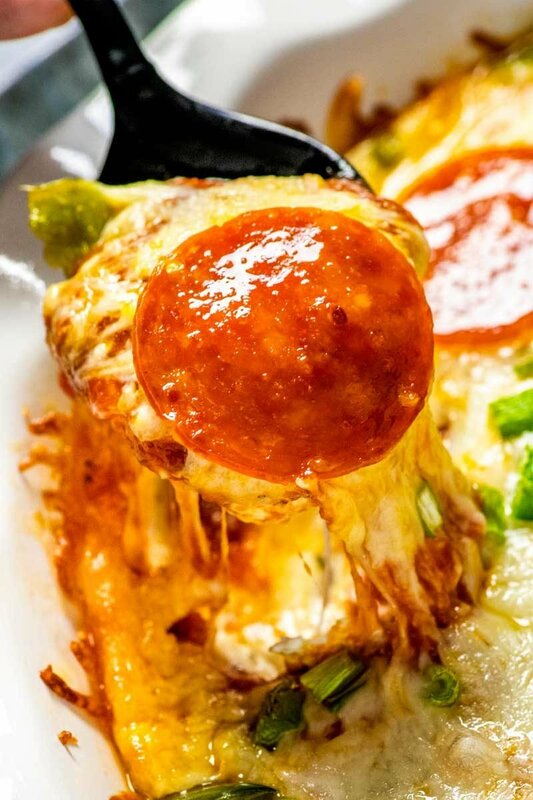 If you’re looking for a way spice up your Friday night pizza delivery, then this hot pizza dip is a must-try for your next movie night. Perfect for a party of one or feeding a crowd, you just can’t beat a bowl of melty cheese, Italian flavor, and all of your favorite pizza toppings. Pair it with buttery breadsticks or crispy chips and this bowl will be empty before you know it. 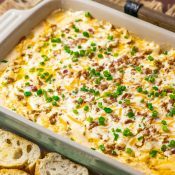 What can you serve with pepperoni pizza dip? What other toppings can you use? Meats such as pepperoni, Italian sausage, meatball, ham, bacon, grilled chicken, beef, pork, or even anchovies. Veggies like mushrooms, spinach, red onions, black olives, bell peppers, banana peppers, pineapple, jalapeno peppers, and tomatoes. 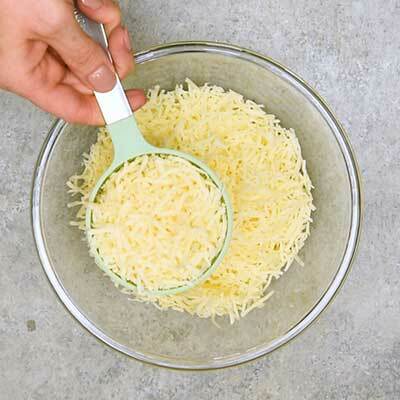 Should you grate your own cheese? 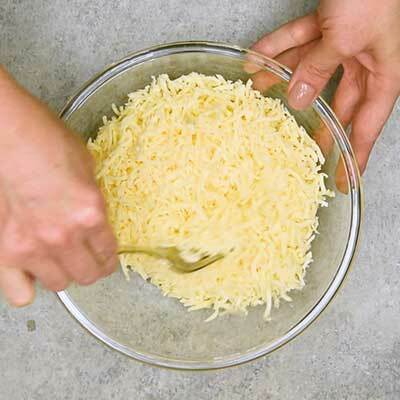 We all know buying pre-grated cheese is very convenient, but it contains some preservatives (such as potato starch) that help keep the grated cheese separated in the bag. 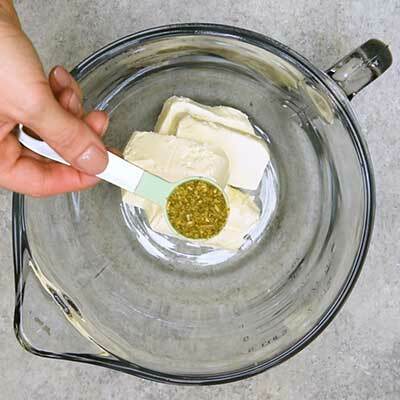 And while this is great for grabbing a quick pinch of what you need, it will also cause the melted cheese to appear lumpy or harden as it cools much faster than it should. So if you’re a cheese lover like me and what the cheesiest experience possible for your dip, I highly recommend freshly grating a block of cheese. I know it’s more work, but the end result will more than make up for it. How long can you leave out hot pizza dip? 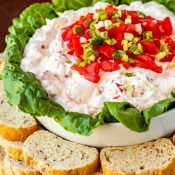 Whenever you serve a party dip, you should always keep track of how long it sits at room temperature. Once you pass the recommended time, you can heat it up in the oven again. For best results, I’d recommend using a warming tray so that this cheesy pizza dip stays toasty and above the “danger zone” temperature. 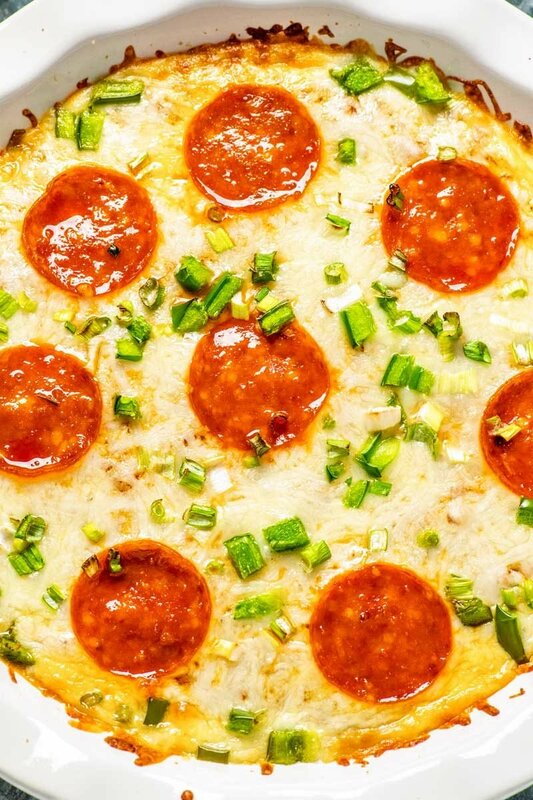 Can you make pizza dip in advance? 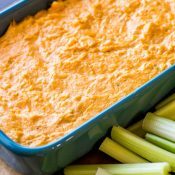 Yes, you can whip up this dip in advance and store it in the refrigerator until it’s ready to be baked. 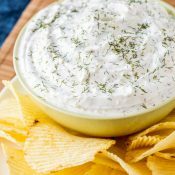 Once assembled, this dip can be stored in the refrigerator for three to five days, depending on the freshness of the ingredients used. 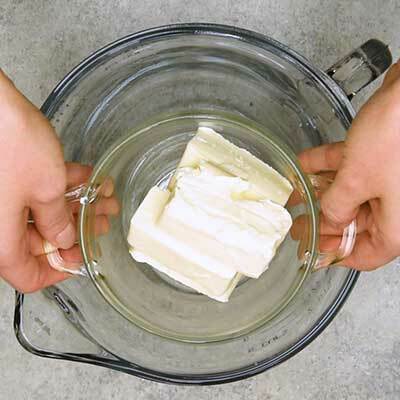 When ready to bake, let the dip warm up on the counter for about 30 minutes, then bake per the recipe instructions. Once the dip is baked, it’s best to consume it all on the same day and toss out any excess. However, if you do want to save the leftovers, it can be stored in the refrigerator for two or three days. Yes, this dip can be prepared and frozen to be baked at a later date. For best results, the dip should be frozen before baking; I do not recommend freezing the baked dip. 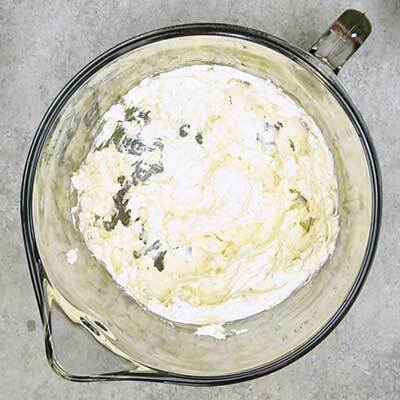 To freeze this dip: Add dip to a bowl with a sealable lid. Secure lid and store in the freezer for one to three months. Before baking, let dip thaw in the refrigerator overnight. When ready to serve, transfer to a baking dish and follow the regular instructions for baking the dip. As mentioned above, I highly recommend you use freshly grated cheese. A simple food grater will do the trick. Like the pie pan used in the photos? You can get a similar one here. How do you make a pizza dip appetizer? 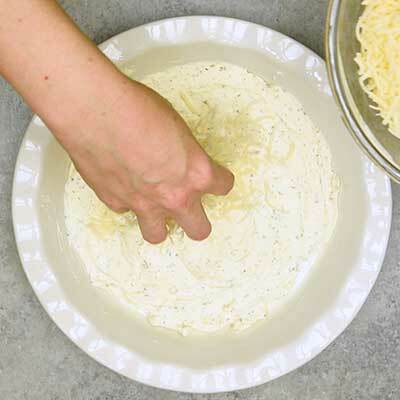 Step 1 – In a small bowl, toss together the Italian style cheese and the mozzarella cheese, then set the bowl nearby. 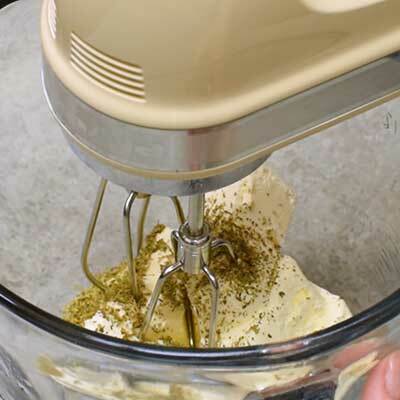 Step 2 – Using a stand mixer (or hand mixer + large bowl), whip together the cream cheese and Italian seasoning, then set nearby. 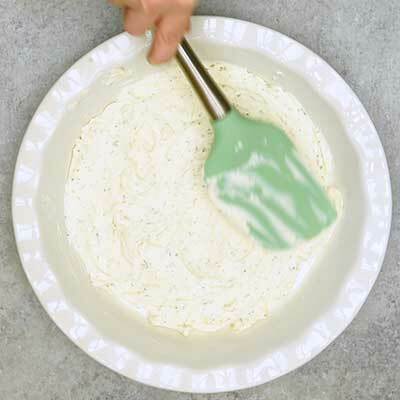 Step 3 – Spray a 9-inch pie dish with cooking spray, then add the cream cheese mixture to the pan. Use a spatula to spread it out into a nice, even layer. Step 4 – Sprinkle half of the mixed cheeses on top of the cream cheese layer. Step 5 – Pour the tomato sauce on next, smoothing it out. 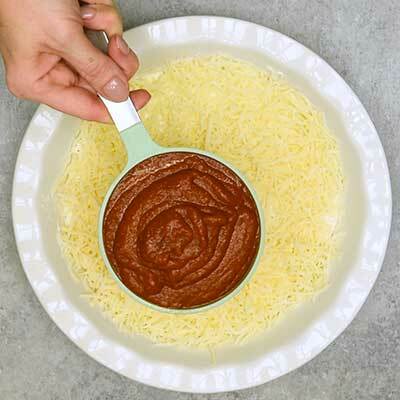 Step 6 – Top the sauce with the other half of the mixed cheese. 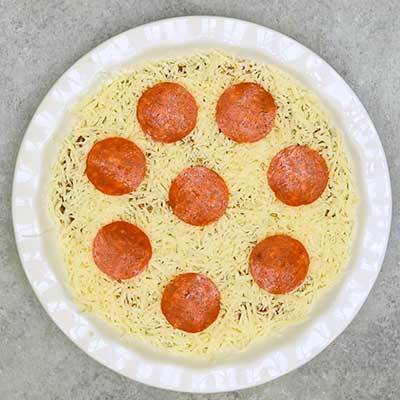 Step 7 – Add any toppings you like, such as pepperoni, veggies, etc. Step 9 – Serve with toasted bread or chips and enjoy! Preheat oven to 350 F. Spray a 9 inch pie plate (ideally microwave safe, so you can reheat the dip if needed) with cooking spray, then set aside. 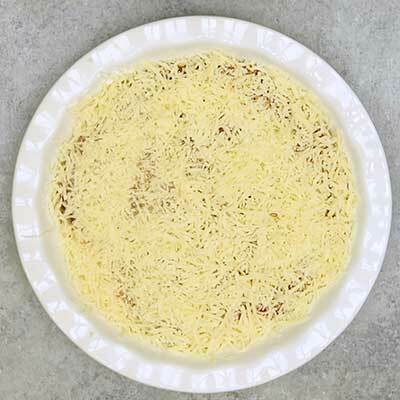 In a medium bowl, Italian style cheese and mozzarella cheese together, then set cheese aside. 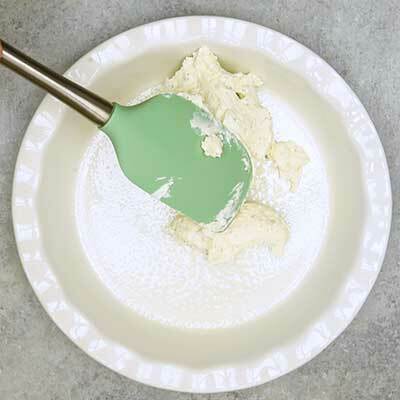 Using a stand mixer (or a hand mixer + large bowl), whip together cream cheese and Italian seasoning seasoning until smooth, about 3 to 5 minutes. 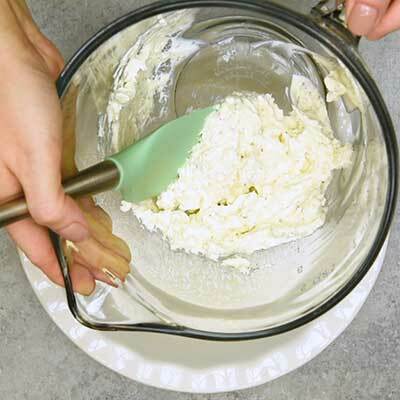 Add cream cheese to prepared pie dish and use a spatula to spread it out into a solid, even layer. Sprinkle about half of the cheese on top of the cream cheese in an even layer. 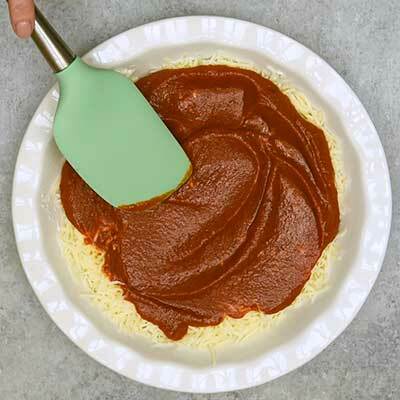 Pour pizza sauce on top of cheese, using the spatula to spread the sauce while leaving a 1/2 inch space along the side of the dish (just like a pizza). 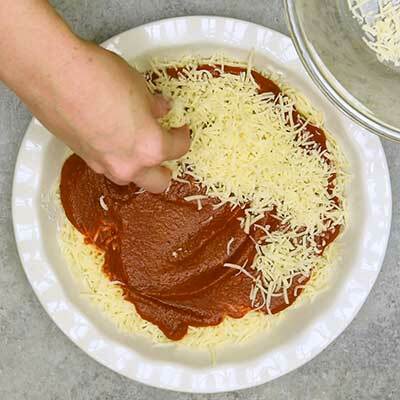 Add the remaining 1/2 of the cheese on top of the pizza sauce, again making an even layer. 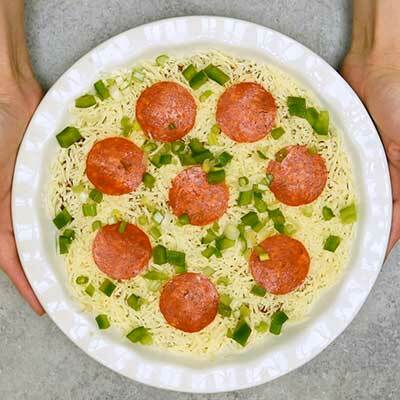 Add toppings of your choice to the pizza (recommended: pepperoni, green onion, and green pepper). 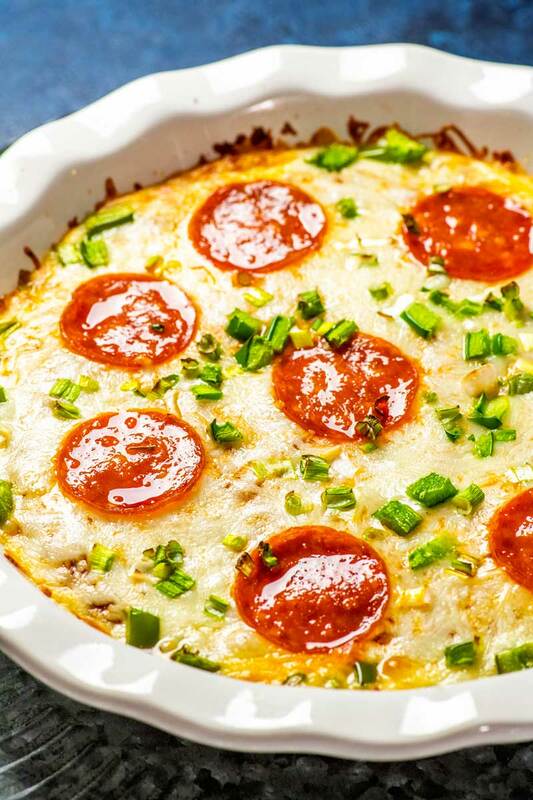 Bake pizza dip for 10-15 minutes or until cheese is melted. Serve immediately with chips or breadsticks for dipping. Note: I highly recommend using freshly grated the cheddar cheese. 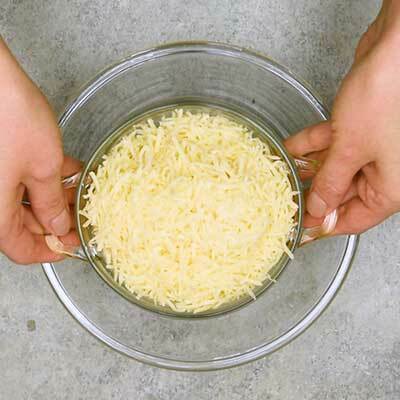 Pre-grated cheese contains preservatives (such as potato starch) that keep the cheese separated but will also cause melted cheese to be lumpy or harden faster than it normally should. For the creamiest cheese possible, grating your own is the way to go. I love this. I am going to make it for Super Bowl and serve with zucchini sticks and celery. 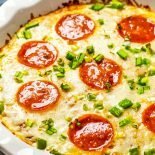 I’m on low carb and this will hit all those pizza cravings. We made the Pizza Dip for our Supper Bowl Party and it was a big hit. The only difference we did was use the tiny pepperoni bits instead of large slices. Fantastic!